Spies have captured the first ever spy images of Volkswagen's upcoming Passat Cross. 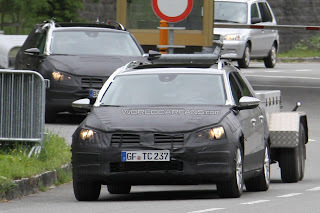 Two pre-production prototypes were spied in Austria, conducting towing tests with the prototypes sporting wider matte black wheelarches, panelling on the lower doors and increased ride-height. While the camouflage may seem a little excessive, the exterior modifications will be limited to plastic cladding, front and rear sump guards, and a restyled lower fascia. Unlike other chunky-looking off-roaders on the market today, the Passat Cross will feature Volkswagen's 4Motion all-wheel-drive system and is likely to be mated to either a 168bhp (170PS/125kW) 2.0 TDi and a 207bhp (211PS/155kW) 2.0 litre TFSI petrol unit. Both 6 speed manual and 7 speed DSG transmission will be offered. 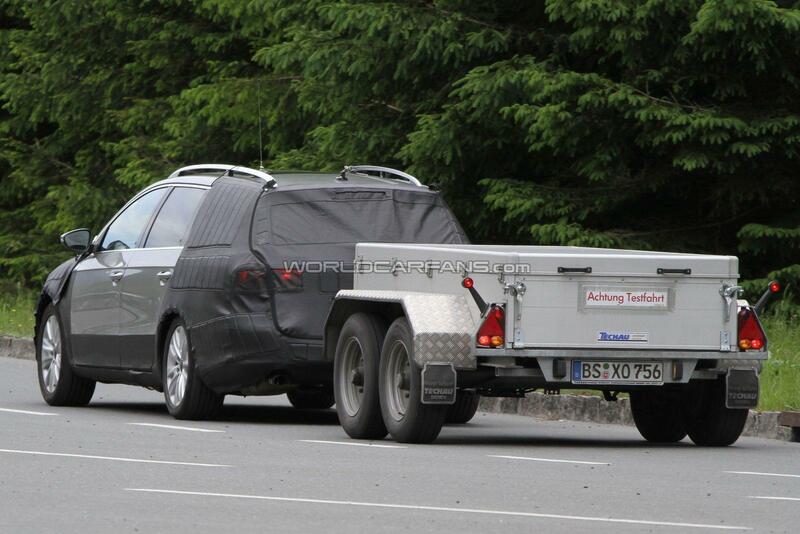 The vehicle will take-on the forthcoming Skoda Superb Scout and Peugeot 508 SW Allroad.